Jaguar is best known not for its ultra-fast supercars or extreme performances, but rather for keeping its name recognizable thanks to innovative designs and superior luxury. Both of these things can be found in the new XF S, which is ‘living’ proof of why Jaguar is one of the best carmakers in the world. The first glance of Jaguar’s newest baby won’t reveal much – the model doesn’t look groundbreaking or even very modern, but the truth gets revealed once you get up close and personal with it. The XF S is the perfect example of how a car can be improved on virtually any level. With competition coming from Audi, BMW, and Mercedes, Jaguar didn’t spare any quarter when designing this beast. 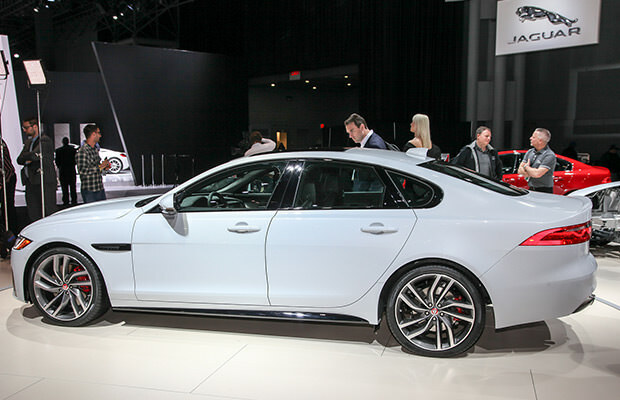 Somehow the design team managed to make the new XF generation look shorter and stronger at the same time. Maybe it’s the rigid shoulder line, the extended wheelbase, or the overall menacing look of the car itself, but the XF S is definitely something we could spend our money on. As far as the engine goes, Jaguar didn’t disappoint, to say the least. The XF S is equipped with a new 3.0-liter V6 supercharged petrol powertrain which can develop 340 horsepower. The inside, as expected, breathes of luxury and comfort. Mix that with the XF S’ sheer power and a $52.000 price tag, and you’ve got yourself one of the most modern cars of our age.